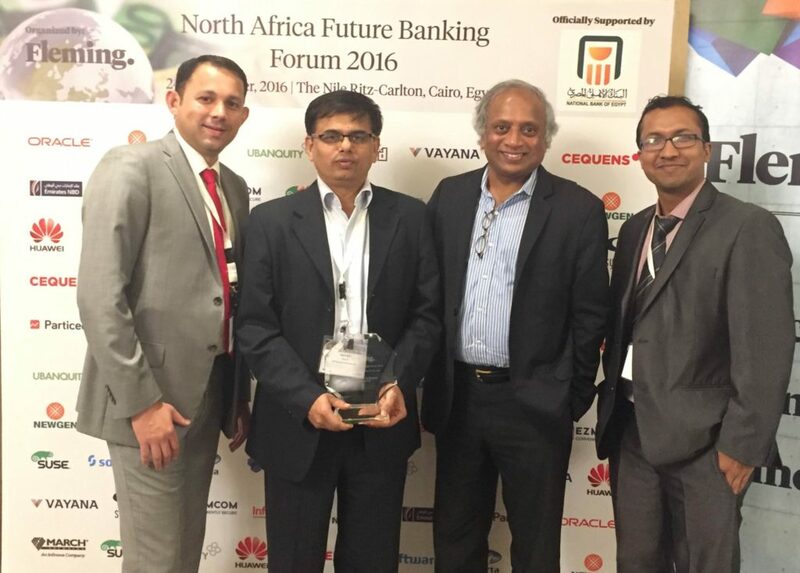 Clayfin had an exciting 2 days at North Africa Future Banking Forum 2016 held on 24-25 October in Egypt. 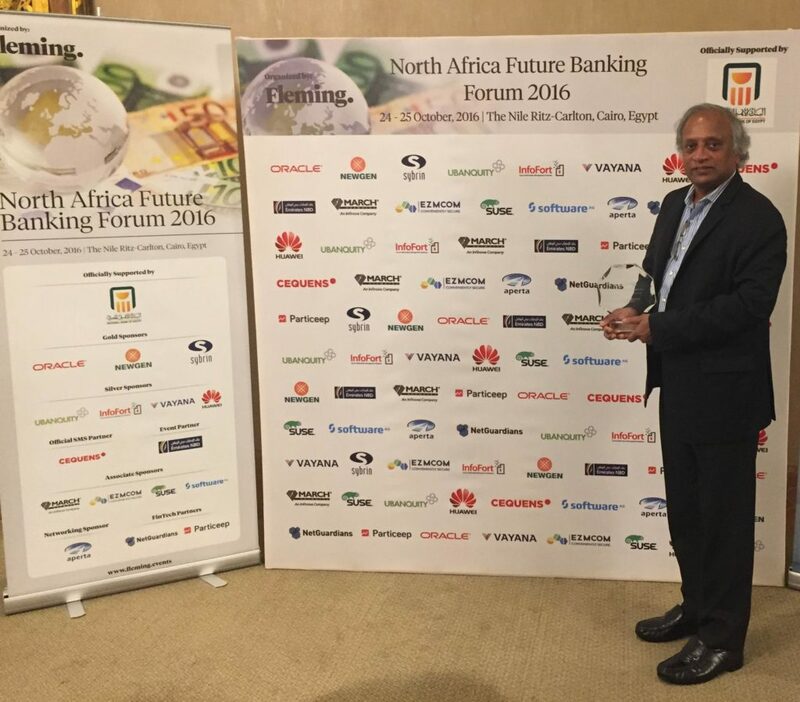 Presentation made by our CEO, Kannan Ramasamy on “How to provide Contextual Customer Experience to build Bank of the Future” has been awarded Best Solution Provider Presentation in North Africa Future Banking Forum on 24-25 October. The insightful presentation not only got us an award but meetings with prospects who were keen in creating contextual customer experience. The response to the presentation serves as a confirmation that customer experience needs to be contextual and the technology needs to drive this transformation. The proud Clayfin Team (L-R: Muhammed Rafeeque, Rajesh BLN, Kannan Ramasamy, Ashutosh N) with the award. We would like to thank everyone for the great event. 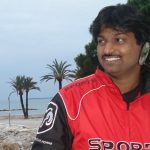 Vijai (VJ) has over 14 years of rich IT marketing and communication experience. In his current role, he heads the Marketing function of Clayfin with the focus on driving brand awareness and generating demand. Prior to Clayfin, he managed various marketing functions for organizations like IBM, SunTec and XIUS. He has a degree in Visual Communication from Loyola College, Chennai and MBA from IBS.